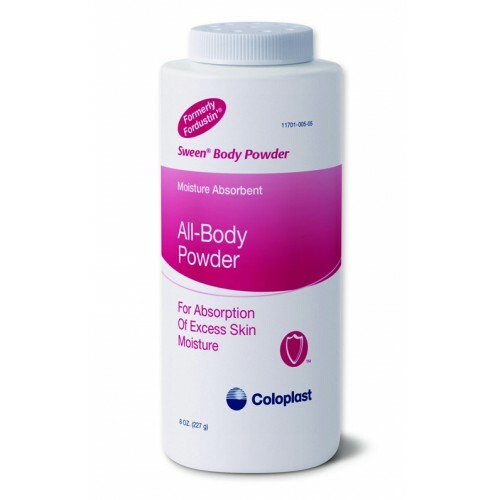 Coloplast Fordustin Body Powder with Noncaking Natural Corn Starch is a silky-smooth, non-caking body powder formulated with natural cornstarch. 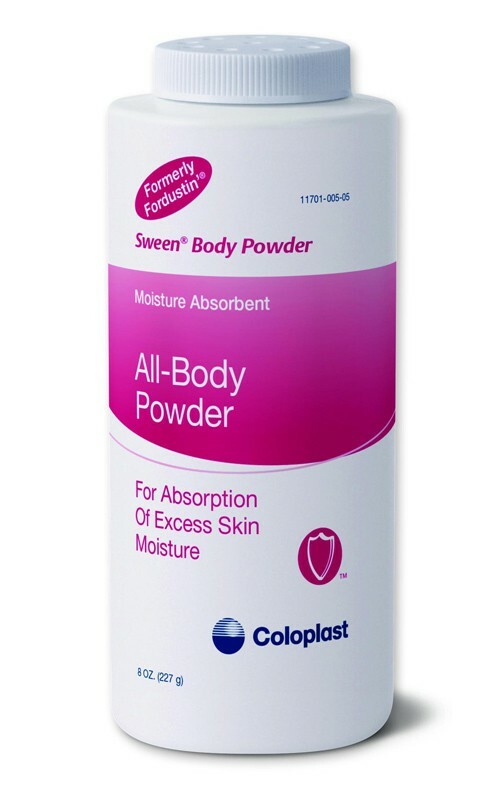 Absorbs moisture and perspiration in skin creases and folds. Recommended for use with compression hose or under ostomy pouches to eliminate sticking and friction. might have. It is a great product. This is nothing like any powders I've used. It's gritty & uncomfortable in the wrong places. Not actually soothing, as it is no better than any product from the store. Baby powders & corn starch are better & have a better texture. I was truly disappointed in this & would not recommend it for babies or elderly, as it's itchy & doesn't last long. This powder is nothing special. Even cheap ones in regulars= stores do more than this. Baby powder or cornstarch, for instance. This is gritty ^ uncomfortable feeling & nothing like any medical powder I've used before. I have used Fordustin powder for twenty years. It was recommended by the surgery clinic at Wright Patterson Air Force Base. It keeps various areas dry most of the day. I highly recommend it.